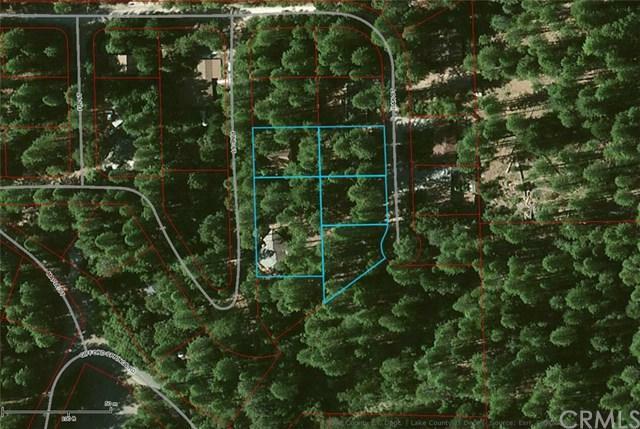 EXQUISITE MOUNTAIN VIEWS from 6 adjacent lots with 5 separate parcels at the end of a quiet cul de sac very close to Boggs State Forest. 3 of the parcels had homes that were lost in the Valley Fire and each include improvements of a septic system (worth about $10,000 each), a water connection (worth about $2,500 each), and credit for school district fees (worth over $14,000 in total). Over an acre of land in total. This is a unique opportunity to create your own neighborhood, or family compound. Enjoy the mountain environment of fresh air and the four seasons at around 3000 ft.